MOSCOW, December 26. /TASS/. Russian President Vladimir Putin said the Paris Agreement on climate change posed no threat to Russia’s industrial development. Putin met with heads of Russian parliamentary factions on Tuesday, including Sergei Mironov, the leader of the A Just Russia party. During the meeting, Mironov gave the Russian president a letter reflecting his concerns about the international climate change deal. According to Mironov, the agreement may result in a situation in which Russia will have to cut its oil and gas output. “I think that the Russian Federation’s climatic doctrine, and our part of the Paris Agreement, should be studied from the point of view of national security,” Mironov said. 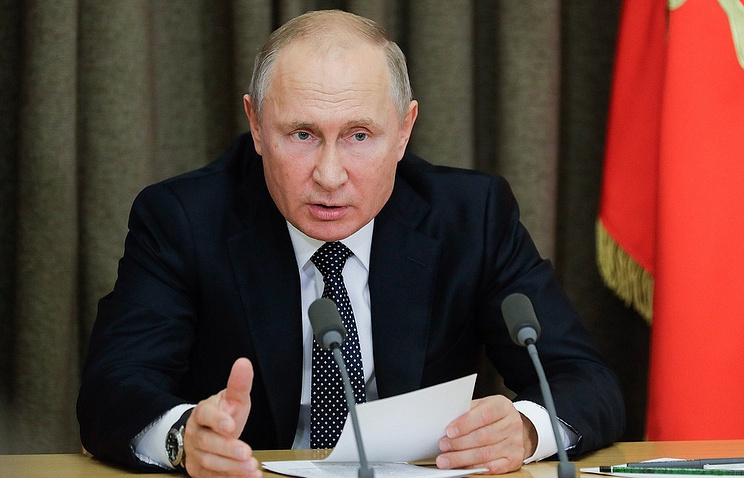 Putin replied: “I think that such threats are non-existent, but, of course, let’s look into it to make sure they don’t emerge in future,” Putin replied. Earlier in the day, Putin met with heads of other parties in the Russian parliament – Vladimir Zhirinovsky of LDPR, Gennady Zyuganov of the Communist Party and head of the parliamentary faction of the pro-presidential United Russia, Sergei Neverov. Hey Buddy!, I found this information for you: "Putin sees no threat in Paris agreement on climate change". Here is the website link: https://russophile.org/putin-sees-no-threat-in-paris-agreement-on-climate-change/. Thank you.